Gentle ogee edges on both top and bottom disks. Hand brushed in 8 layers of low satin stain to a deep 'java' color. The lamp face has concentric rings of varying depths carved into it's surface. The light from the shielded bulb catches and illuminates the edges of the disks. 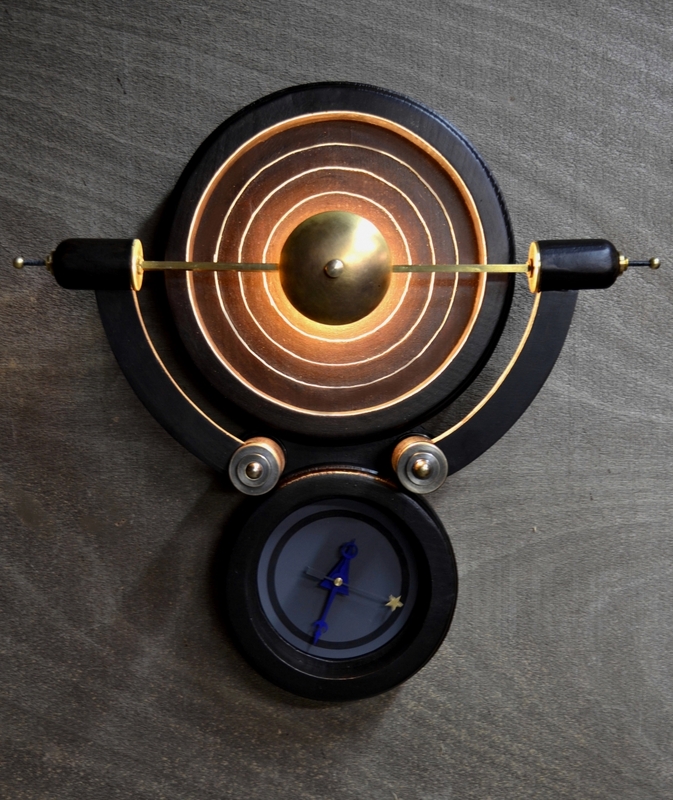 The steel clock face is finished in a matte, zinc gray with hand-made clock hands in matte electric blue and a gold leaf star on the sweep second hand. Weathered brass and satin brass details. 40 watt globe.